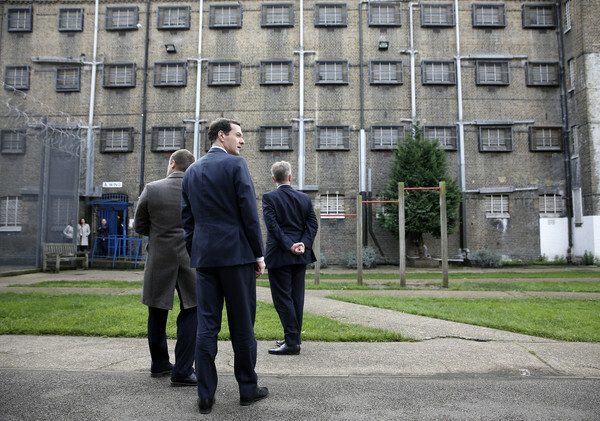 Chancellor George Osborne (C) and Justice Secretary Michael Gove (R) are given a tour by Prison Governor Giles Mason around the exercise yard outside "A" Wing during a visit to Brixton Prison on November 09, 2015 in London, England. The Government has unveiled plans to build nine new prisons, with five prisons to be built by 2020. The new prisons will replace old Victorian prisons in city centres and allow these sites to be sold for housing.